Our Fourth Hack day will be held on the 02/08/14 at 9:30am at the Future Business Centre, King’s Hedges Road, Cambridge, CB4 2HY. Check this map for directions. The schedule is now available online here. 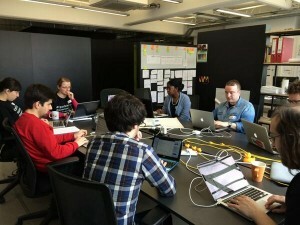 You can also take a look at what we managed to do on our previous Hack Day or explore the storify page of the event. At this the upcoming brainstorm session we will further develop the Data Discovery tools for genomics research using metadata to make data discovery faster, benefiting researchers by accelerating the initial steps of data access. Hackpad will be our tool of choice for notetaking/collaborating during the day, and we encourage everyone to join with their notes and comments. You are very welcome to tweet and track the progress using our hashtag #DNAhdFor the technically minded, we suggest you bring your laptop. For those more interested in discussions and paper prototyping, just bring your brains and enthusiasm, and we will provide paper materials. There will be lunch and tea/coffee breaks during the day. DNAdigest team is really looking forward to seeing you in Cambridge!